These opulent shades are beautifully set in 18 ct Fairtrade rose gold. 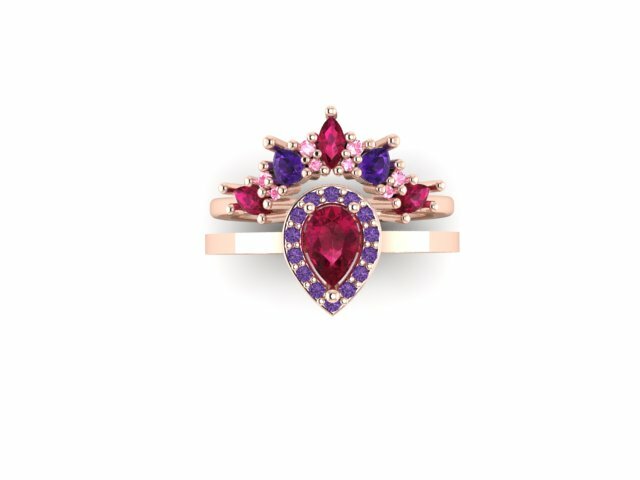 Using Rubies, Purple Sapphire, Pink Sapphire and Amethyst. This couple nestle together perfectly creating a striking luxurious Baroque inspired show stopper.